LIFE began in 1992 and to date there have been three complete phases of the programme (LIFE I: 1992-1995, LIFE II: 1996-1999 and LIFE III: 2000-2006). During this period, LIFE has co-financed some 3104 projects across the EU, contributing approximately €2.2 billion to the protection of the environment. 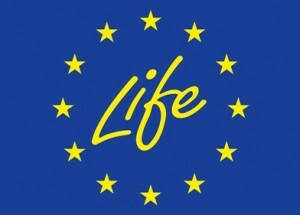 The, LIFE+ programme runs from 2007-2013 and has a budget of €2.143 billion. The legal basis for LIFE+ is the Regulation (EC) No 614/2007. LIFE+ covers both the operational expenditure of DG Environment and the co-financing of projects. According to Article 6 of the LIFE+ Regulation, at least 78 percent of the LIFE+ budgetary resources must be used for project action grants (i.e. LIFE+ projects). During the period 2007-2013, the European Commission will launch one call for LIFE+ project proposals per year. Proposals must be eligible under one of the programme’s three components: LIFE+ Nature and Biodiversity, LIFE+ Environment Policy and Governance, and LIFE+ Information and Communication. The Nature & Biodiversity component continues and extends the former LIFE Nature programme. It will co-finance best practice or demonstration projects that contribute to the implementation of the Birds and Habitats Directives and the Natura 2000 network. In addition, it will co-finance innovative or demonstration projects that contribute to the implementation of the objectives of Commission Communication (COM (2006) 216 final) on “Halting the loss of biodiversity by 2010 – and beyond”. At least 50percent of the LIFE+ budget for project co-financing must be dedicated to LIFE+ Nature and Biodiversity projects.